Showing 28 articles from August 27, 2013. SOUTH BEND – The 51st Annual Come & Play on Labor Day celebration is the premier event on the harbor for little kids and there’s a lot of activities for teens and adults of all ages. The fun is nonstop for the little tikes with a hay scramble, kiddie races, bouncy toys, and vendors with toys. The four-day festival starts Friday and ends Monday. 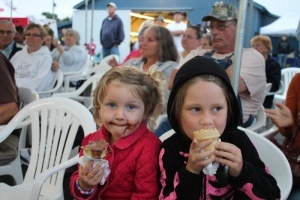 The Pacific County Fair returned to its classic nature of being a respected community event with better everything than it has been in the past several years. 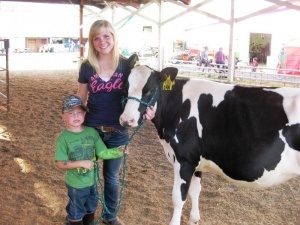 Word spread fast that this year’s fair was going to be a memorable place to be and it was for nearly 15,000 visitors. Comments made at the PUD Commissioner’s meeting last Tuesday (August 20th) displayed a disagreement among the commissioners regarding the validity of the PUD account of the man-lift incident. 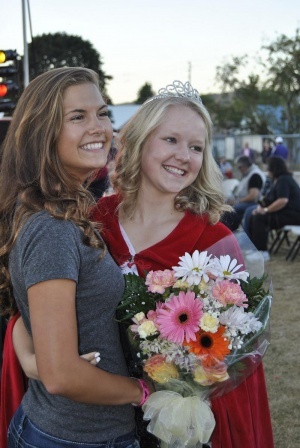 Pacific County Fair Queen Jessica Cook received warm congratulatory hugs from family and friends after being crowned Saturday night. At left is Lauren Friese. Aqua farming. Mariculture. It goes by many names. But in Pacific County, it’s primarily known as oyster farming. And it has 160 years of tradition through many generations of several area families. It’s a warm sunny day and the kids are playing out in the yard, it is hard to believe that back to school season is right around the corner. It is time to shop for clothes and school supplies but even more important check your children’s immunization records to make sure they are up to date and protected for school. Multiple vaccines are required for Kindergarten, but "Immunizations for adolescents are just as important as they are for young children" says Jane Sheldon, immunization nurse at Lewis County Public Health & Social Services. Three adolescent vaccines are due at 6th Grade. "TDaP is required for school, and Meningococcal and HPV vaccines are highly recommended," noted Sheldon. Students riding on Toledo School District buses can look forward to an added level of security starting this year as officials report they are completing one phase and entering another to install cameras and sensors on all the busses. The first phase began earlier this year and involved installing the new hardware in regular school buses, including more advanced surveillance cameras as well as sensors recording a timeline of information such as when brakes are applied, when turn signals are used, what the speed is, how much g-force is being exerted on the bus, and whether or not the bus has been in a collision. 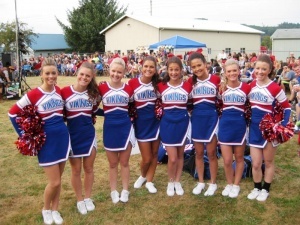 In a first-of-its-kind fundraiser, the Winlock School District is asking residents to help kick off the coming school year by filling a bus with donated school supplies. Between Monday and Friday of this week, a school bus will be outside the District Office for the donation of backpacks, notebooks, pencils, markers, craft glue and a number of other school supplies appropriate for all grades. Some important information for customers at Ryderwood’s Post Office: The new weekday window hours are 9 a.m. to 1 p.m. The good news: the mail is usually out by noon. On the down side: nothing can be mailed after 1 p.m. The Vader Post Office is open until 4 p.m. if anything needs to be postmarked that day. A group of Crafters will gather on the first and third Tuesday mornings from 10 a.m. –12 p.m. in Pioneer Hall for the months of September and October. That means the first gathering will be Tuesday, Sept. 3. It sounds like some demonstrations are planned. Call Delphine at (360) 703-4100 for information. Congrats to Andy Lahmann and team for achieving their Kickstarter goal for "Out of Nothing." Trailer at http://www.kickstarter.com/projects/outofnothing/out-of-nothing-1/ . Bricks purchased now will be installed by Veterans Day on Toledo’s Wall of Honor. Contact Bob Schmid, dearoldbob@toledotel.com or (360) 864-8335. Well, it’s official! School begins for the 2013-14 year on the day after Labor Day, or Tuesday, Sept. 3. Winlock Miller Elementary School is still asking for any school supplies that you can provide. 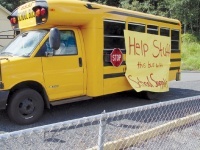 A bus is parked in front of their district office from Monday, Aug. 26, to Friday, Aug. 30, and they would love to stuff it for students in the upcoming year. In addition, the school is doing a shoe drive—just drop them off those same days. Anything slightly used or new would be appreciated (any size). Lena "Tink" Crites, of Toledo, died Aug. 24, 2013. Born March 26, 1962, she was 51 years old. A graveside service has been scheduled for 11 a.m. Friday at Toledo Cemetery. Arrangements care of Fir Lawn Funeral Home. Raymond "Ray" Ralph Ely, of Castle Rock died Aug. 19, 2013. Born Nov. 24, 1924, he was 88 years old. He is survived by wife Doris Ely, son Richard (Debbie) Ely, daughter Dianna (Alan) Watenpaugh, and grandchildren Justin, Lisa, Addie, Sarah and three great-grandchildren. A celebration of life was held Monday, Aug. 26, at the Vader Lions Hall, with a private family burial held separately at Little Falls Cemetery. 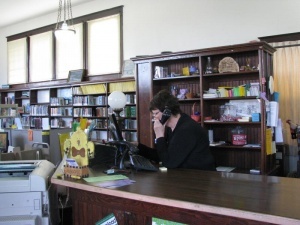 South Bend is home to a historic Carnegie Library, a building that’s turning 100 years old this month. Toledo Mayor Jerry Pratt has defended the city’s utility billing policies in response to a complaint made Aug. 5 that Toledo is charging unfairly for water and sewer service. Property owner Roger Johnigk has said the city is charging him for nine hookups at his apartment complex at 550 N 5th St. when only two meters service the building. Johnigk’s attorney Jim Nelson told the council the practice of charging for what he called "phantom hookups" was contrary to state law, as well as the Equal Protection Clause of the 14th Amendment. The Chehalis Police Department is looking for a Cascade Mental Health patient who was reported missing Aug. 20 from a residence on W. Main St.
Robert Springer, 24, was reported missing to police by his mother, who said she has not spoken with him since Aug. 16 and has been attempting to contact him. Subsequent reports have placed him in the Toledo area, though he remains at large. Lewis County Medic One is looking at the possibility of reducing its level of service as the number of EMT’s volunteering with local aid agencies is dwindling. During a meeting of the Interlocal Board Aug. 20, Operations Chief Grant Wiltbank said a number of highly-utilized EMT volunteers are expected to become unavailable next month, reducing the pool of individuals able to assist Medic One paramedics with patient transports. Photo by Kayla Camenzind Alicia Smaciarz helps this little guy walk his cow around the show arena. 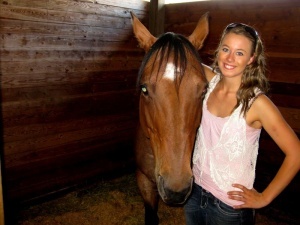 Photo by Kayla Camenzind Denise McDonald took a break from grooming working with her horse in the barn. 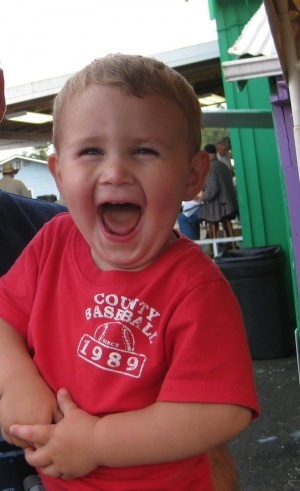 Photo by Kayla Camenzind Jorden Nissell had a blast at the fair and wasn’t afraid to show it! 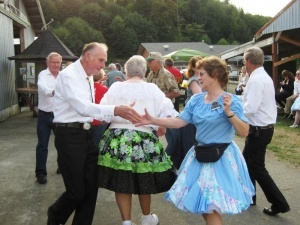 Photo by Kayla Camenzind A square dance show near the fair entrance livened up the mood before the cheerleading expositions Thursday night. 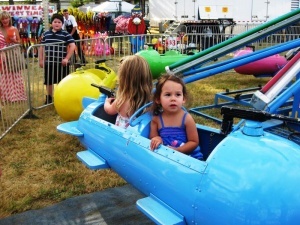 Photo by Kayla Camenzind Two little girls enjoyed the space ship ride on the first night of the fair. 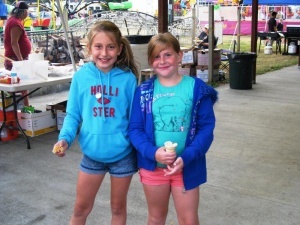 Photo by Kayla Camenzind These two girls enjoyed delicious ice cream cones while taking a break from the rides and seeing friends. With the school year starting and kids--even older ones--returning to school, it can be a handy time to catch up on some home improvement tasks.